When William's father kicks him out of his Kansas home, no one--including William--thinks he'll amount to much. William suffers from an ailment that causes him to twitch uncontrollably. Of course, this is strange behavior to folks on the frontier. Needless to say, it's tough for William to make friends. William's strange tic insults an outlaw. Forced to defend himself, William discovers his condition gives him phenomenal speed and accuracy with a six-gun. In Trinidad, Colorado, William struggles to keep out of the way of two railroad giants fighting to control the town. He wants to pick up and leave. But he has a new friend and she needs his help. William just wants to fit in somewhere. But people keep picking on him. People with guns. 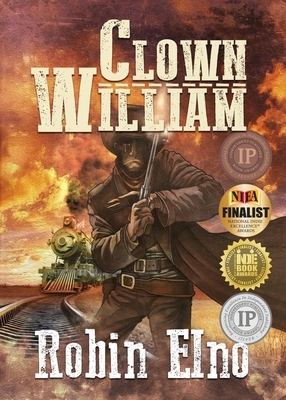 The Clown William series is a Bronze Winner for Best Fiction Series in the 2019 Independent Publisher Book Awards (IPPYs) and the first book in the Clown William Series is Winner of the Arizona Authors' Association Literary Award and Silver Winner in the 2018 Independent Publisher Book Awards ("IPPY" Awards). This is the first book in the series. The second book in the series, Clown William and the Lincoln County War, is now available and the third book in the series, Clown William and the Wind of Vengeance is coming soon. Learn more at ingramelliott.com/clownwilliam.